A kitchen remodel can be the most challenging home improvement because of the number of decisions there are to make. From layout to style to materials from floor to ceiling, there are a huge range of options to choose from. 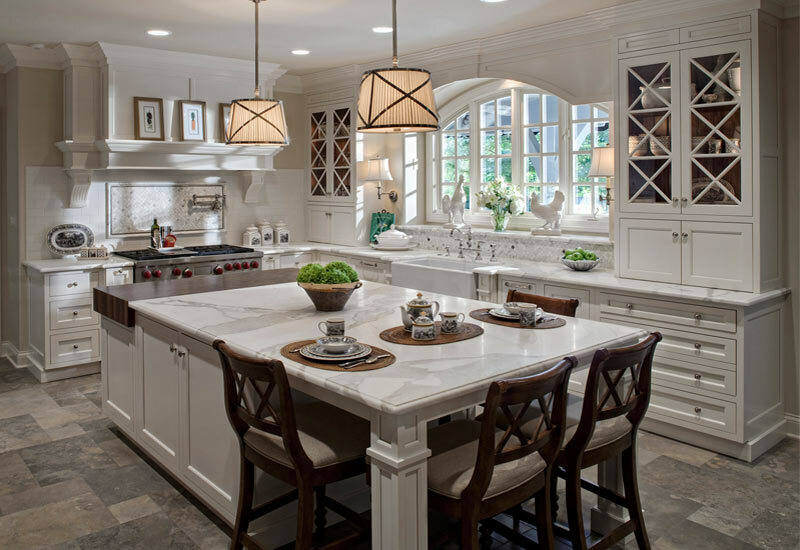 A kitchen update will last at least for 20 years, so it is important to consider longevity in addition to trends of today. A. 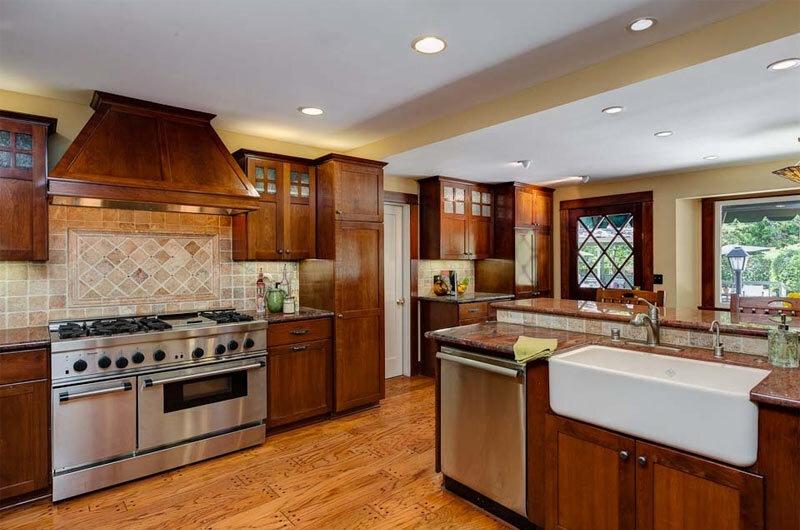 How Much Does a Kitchen Remodel Cost? 1. How much kitchen counter space do I need? 2. How high are kitchen countertops? 3. 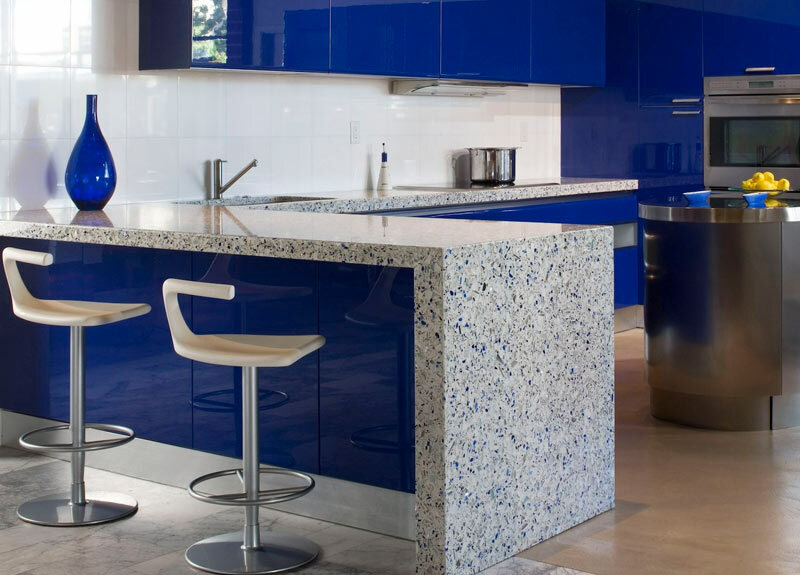 What is the best counter top surface material? 1. 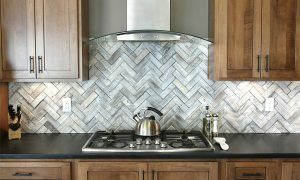 What is a backsplash? 2. Is a backsplash necessary? 3. Partial or full coverage? A smaller project including painting walls, refacing cabinets, upgrading the sink and replacing the backsplash could cost between $10,000 and $15,000. On average, homeowners report that a kitchen remodel costs $19,836. According to HomeAdvisor, most kitchen remodels cost somewhere between $11,182 and $28,632. A high-end renovation will cost over $30,000, including custom cabinets, hardwood floors, granite counters and top of the line appliances. 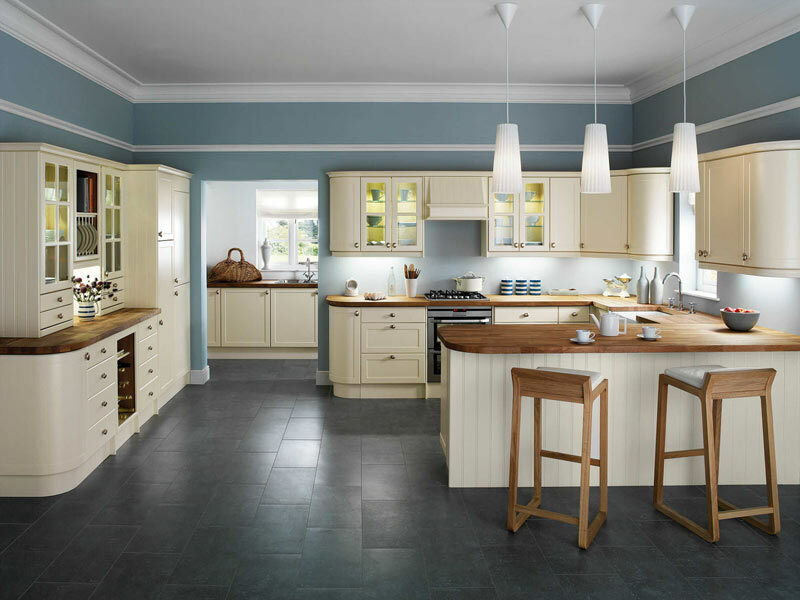 Working with your existing layout is the cheapest way to update a kitchen. If you have your heart set on specific appliances, measure them first because there are no universal dimensions for stoves, dishwashers or refrigerators. If you want more than a facelift, consider starting from scratch. 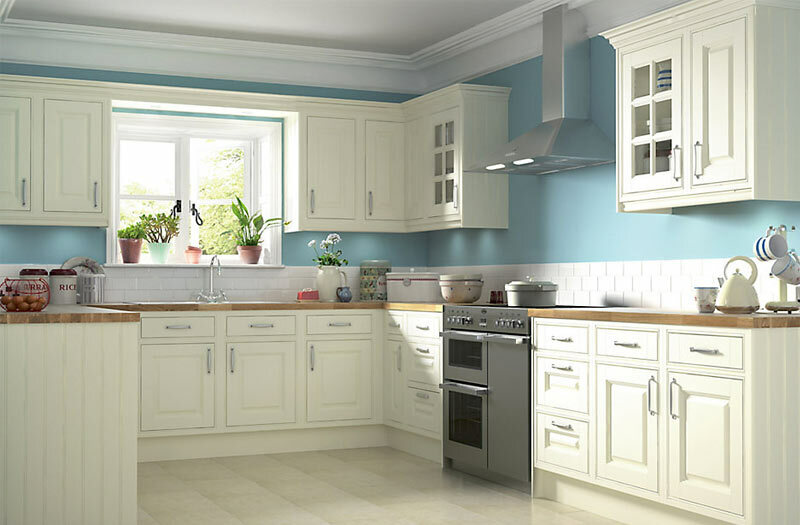 Walls, windows and even doors can all be changed to improve the flow of your kitchen. For some budget friendly middle ground, it may be possible to add an island or peninsula for more counter space. Depending on the age of your house and kitchen, electrical, plumbing or structural issues may come to light. 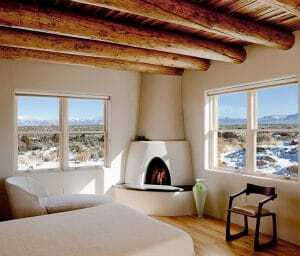 Working with architects and engineers will ensure a remodel can be brought up to code and accommodate modern features. The kitchen work triangle is a simple way to determine an efficient kitchen layout. Most tasks take place at the stove, sink and refrigerator. Connect these three points to create the work triangle. Placing these three elements close, but not too close, together reduces wasted steps. Single wall kitchens do not have a work triangle but can efficiently configure the stove, sink and fridge by keeping them together. Beyond the work triangle, a kitchen remodel is about meeting your specific needs. A gourmet cook, busy family and avid entertainer will have different priorities like professional appliances, ample storage, or wine cooler. Spend money on the features that will get the most use. All remodeling projects have a budget. Planning for the unexpected will help keep things in check. Another consideration is to stick with your decisions. Changing materials and finishes and other decisions will drive up costs in addition to creating delays. 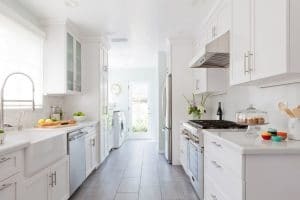 Keep in mind that an updated kitchen can add to the value of your home. According to Brad Burgin, Burgin Construction Inc., clients that spend about 10% of their overall home value realize a return on their investment at resale. According to Remodeling Magazine, a major kitchen renovation can result in a return on investment of between 61% and 70% of the cost. Timeless and universally appealing design will help you get the most resale value. If you can’t afford all of your ideal materials today, consider placeholders. For example, install a laminate countertop until you can afford a granite upgrade. Of course, this will work for certain elements of the kitchen but not others. While open kitchens are the current trend, not everyone wants to reveal the process of cooking to company. A fully open concept space combines the kitchen with dining area and living room. On the other hand, a closed kitchen separates the cook from the action, whether it is kids playing in the family room or guests mingling before dinner. A compromise between the two is a hybrid, with a kitchen and connected dining area. 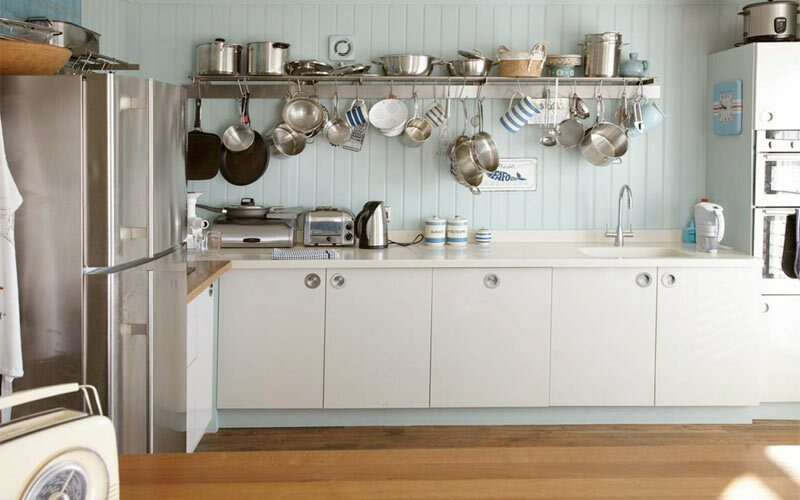 These are the most common kitchen layouts. Depending on space and budget, a layout may be able to be changed. As the name indicates, cabinets and appliances are fixed along a single wall. Characterized by two opposite walls, or sometimes two parallel countertops, the design is also called a walk-through kitchen. Like the name says, in this kitchen two perpendicular walls connect to form an L.
The horseshoe kitchen has three walls connected in a U-shape. A current version is an L-shape plus an island. 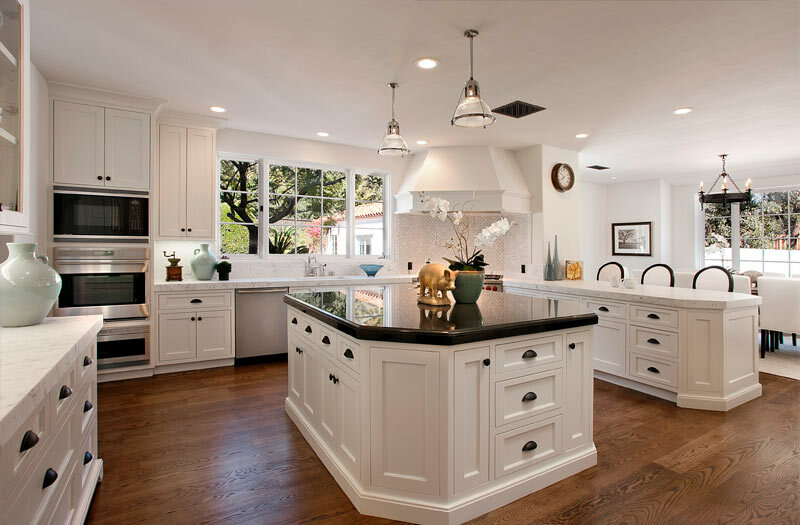 A peninsula kitchen has a connected island that converts an L-shaped layout into a U, or a U-shape into a G.
Like the geographic feature, an island is separate area from the rest of the kitchen. All the built-in features of a kitchen are similar to picking out furniture for a room. An aesthetic or color scheme ties everything together. 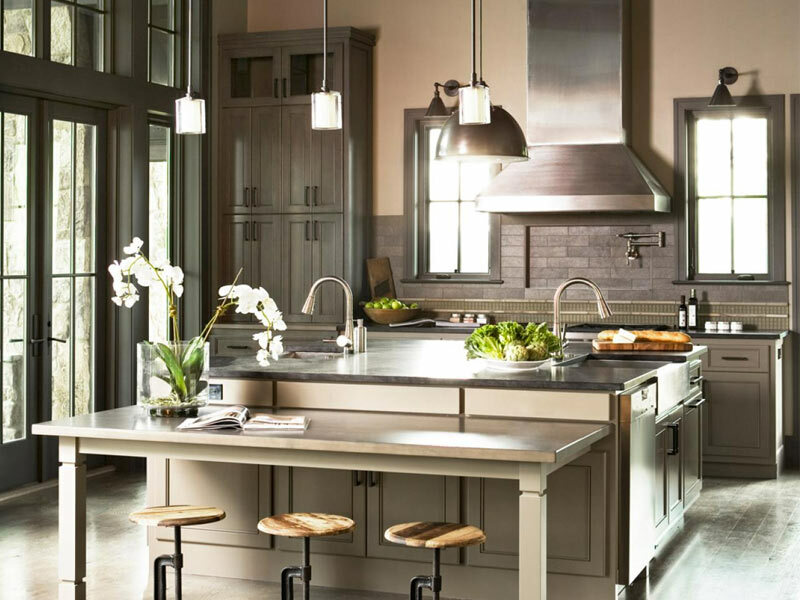 Here are examples of 10 of the most popular kitchen design styles. 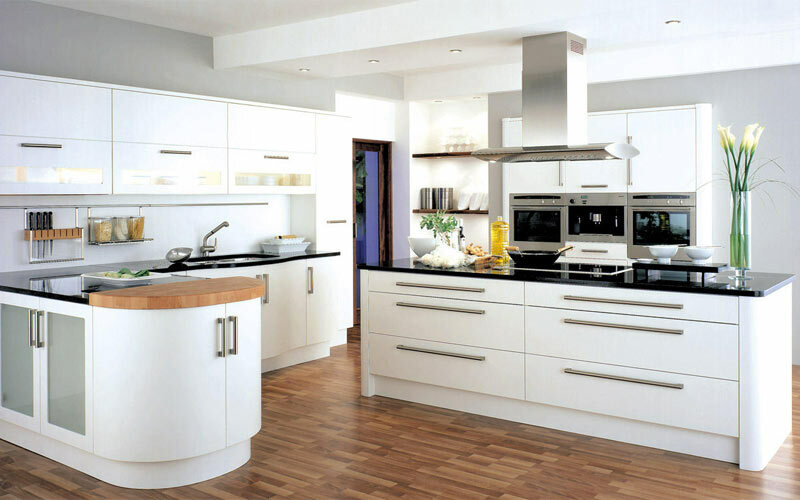 Kitchen cabinets are one of the biggest parts of a kitchen upgrade, making up 30 to 50% of the budget, according to the National Kitchen and Bath Association, and add value to your home. 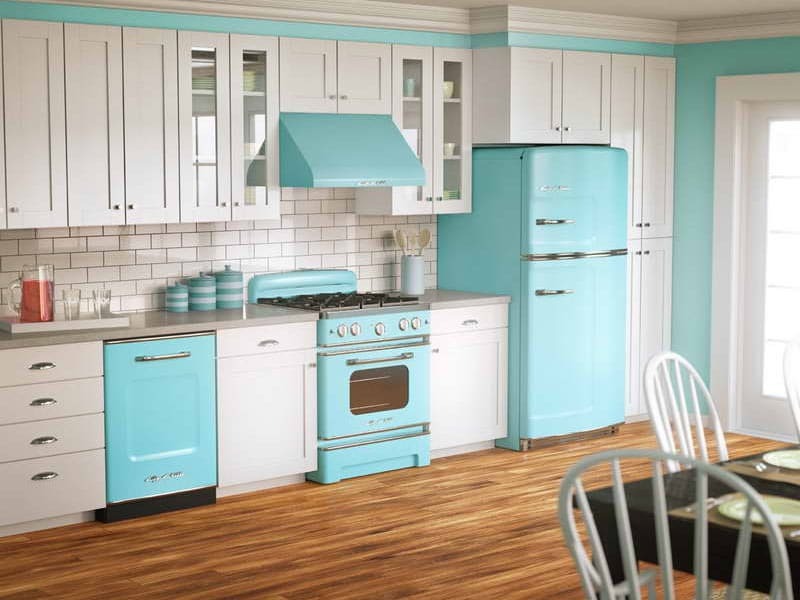 Cabinetry can last for 50 years so go for a timeless look that will endure over something too bold or trendy. Ordering a sample door to go with other design elements and live with for a few days will help with the final decision. Cabinet sides and shelving are not the place to cut corners. Plywood construction is more durable and long lasting, does not off-gas, and is better for resale value. Stay away from particleboard and melamine, which is particleboard with a coating. To save money cabinets, consider laminate finish instead of wood. Most people are not able to tell the difference between modern veneer and solid wood but you will notice a significant difference in price. Customization translates into higher costs and more time required for production and installation. 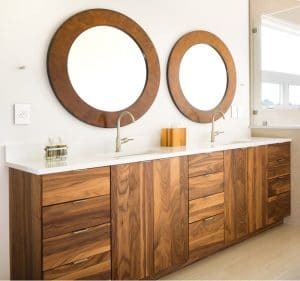 The spectrum ranges from pre-fabricated stock cabinets that are available immediately from home or design stores to completely handmade custom cabinets. Unfinished cabinets cost even less but not after the time and labor of painting them. Cabinets are available in a range of paints, stains and finishes so choose one from the manufacturer instead of doing it yourself. 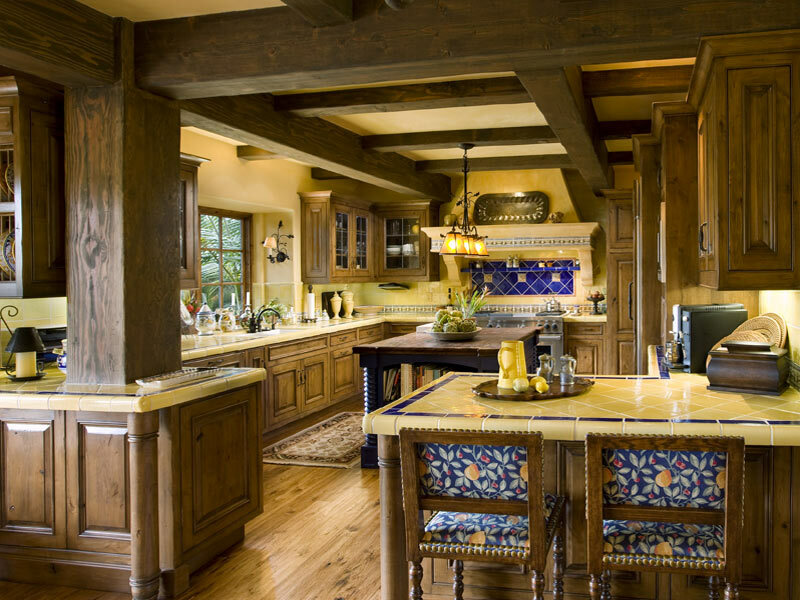 Custom cabinetry may have hand-applied custom finishes. Face frame cabinets, the ones more common in North America, have rails and stiles that form a 1-1/2 inch face “frame” at the front of the cabinet box. This frame resembles a flat picture frame that is attached to the door front, giving added dimension to the door front. 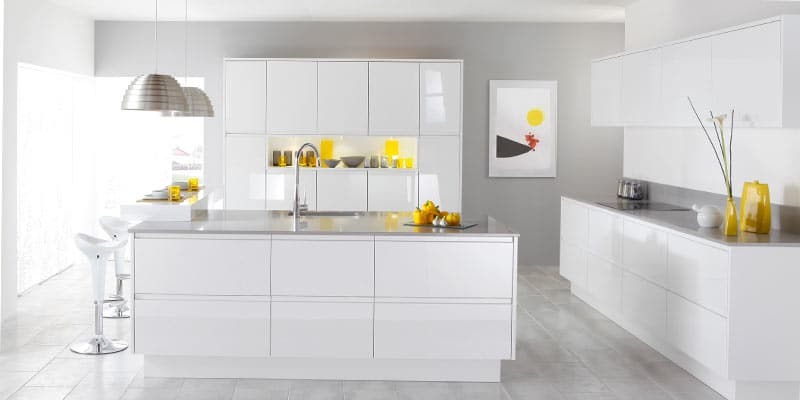 Framed cabinets are considered to be more sturdy and have the option of partial overlay, full overlay or inset doors. 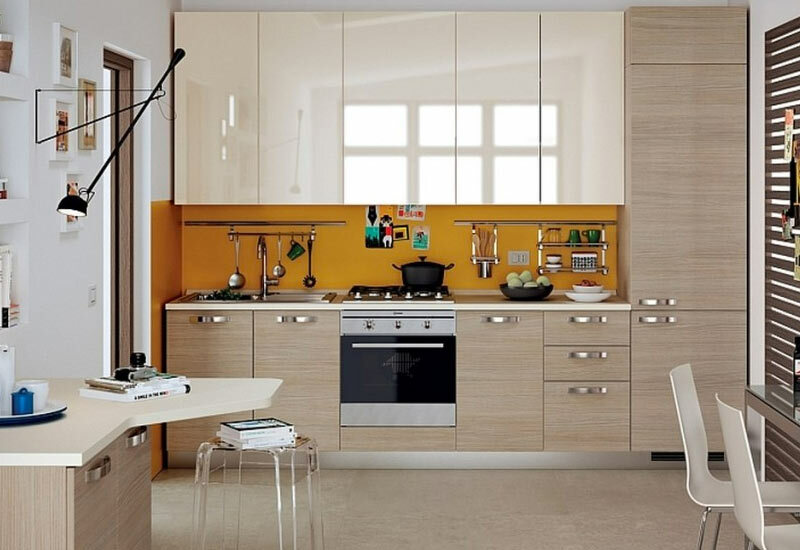 Frameless cabinets, sometimes known as European style, are constructed of individual boxes without frames. Strength and stability comes from attaching boxes to each another and the wall. The box is completely covered by the doors, with hinges on the inside, for a sleek appearance. Also called full access cabinets, without a frame, this style provides more storage space, larger drawers and easier access to the items inside. For a low budget kitchen refresh, simply update cabinet knobs, pulls and handles, also known as hardware. Just keep all the hardware in the same place to reuse existing holes. Don’t be afraid to mix and match styles as well as metals. For example, use one type of hardware for low cabinets and drawers and a different one for cabinets above countertop height. 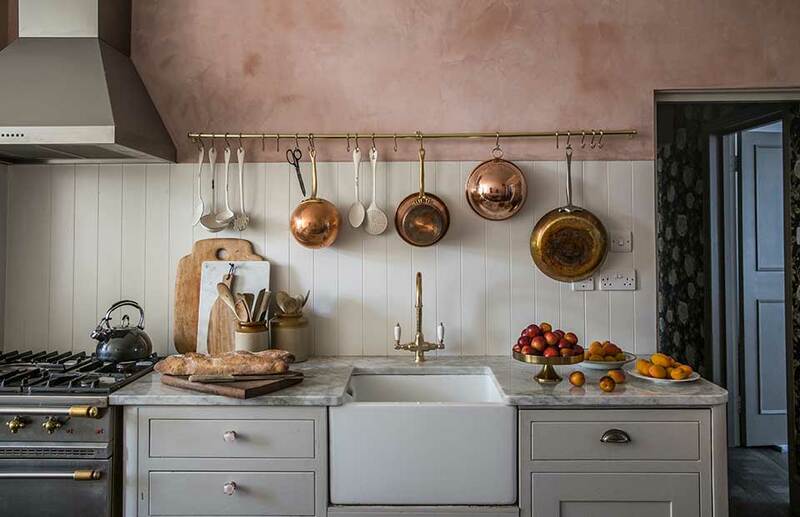 Metals also don’t need to be uniform across the kitchen sink, appliances and hardware. Variety creates a more interesting design. Professional lighting is available with most cabinets including fixtures above, below and inside cabinets and drawers. 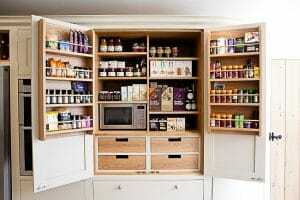 Built-in kitchen cabinet organizers help make the most of space. Lower cabinet drawers, a pullout pantry and corner carousels ensure that farthest reaches of your cabinets are accessible and nothing gets lost. A garbage and recycling center keeps that blue bin out of sight. 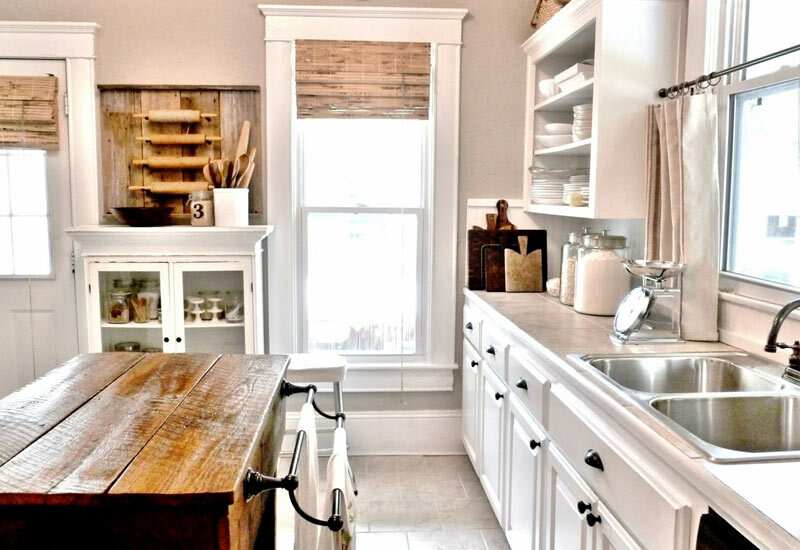 There are more organization features to choose from, like pull out spice rack, a mixer stand and hinged shelving, but the cost does add up so consider what features are essential for your kitchen. While more is usually better, all you need can be summed up in the 3×4 rule. There are three phases to cooking: preparation, cooking and the dirty pile. 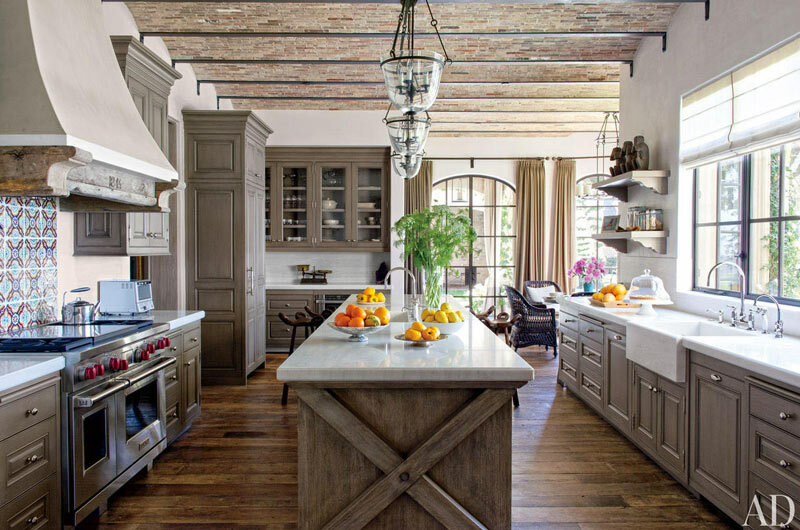 To accommodate each of these, you need three separate counters, each about 4′ long. 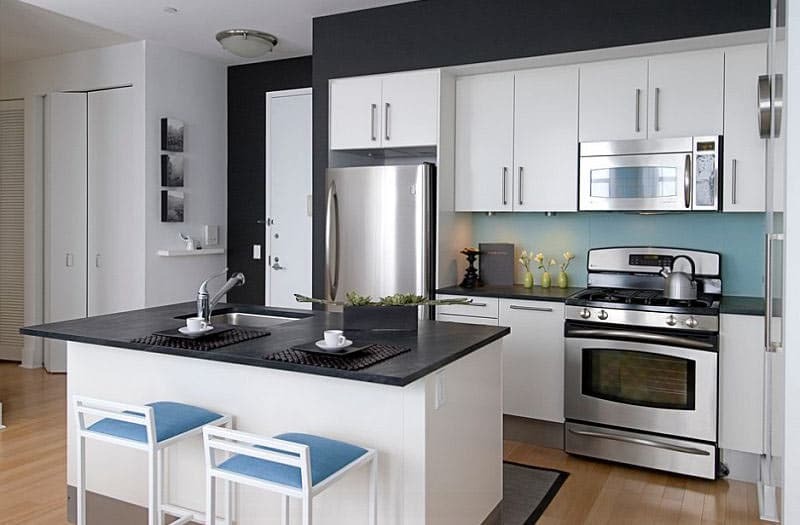 The standard floor-to-countertop height is 36″, or 3′. Stoves and dishwashers are sized to this height. People who are taller, shorter or in wheelchairs may want to adjust countertop height. 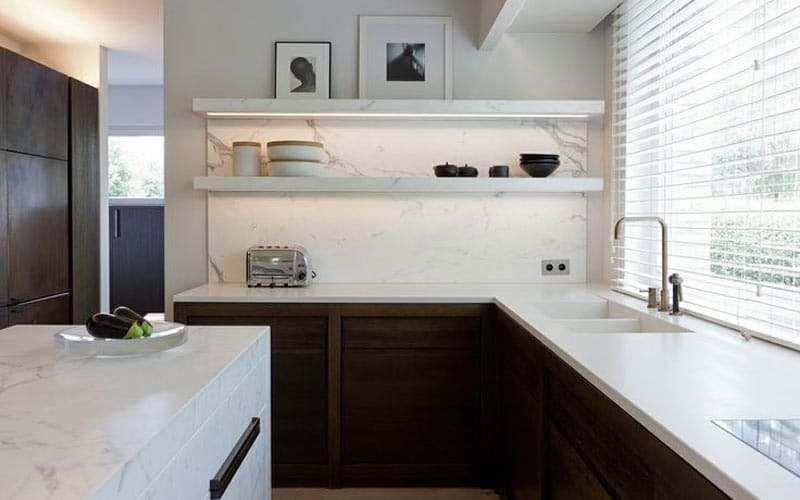 The best countertop material depends on budget, aesthetics, and desired maintenance. While natural stone is a beautiful choice that holds value, it is expensive, can stain and requires regular sealing. On the other hand, engineered surfaces tend to be more budget friendly and low maintenance. 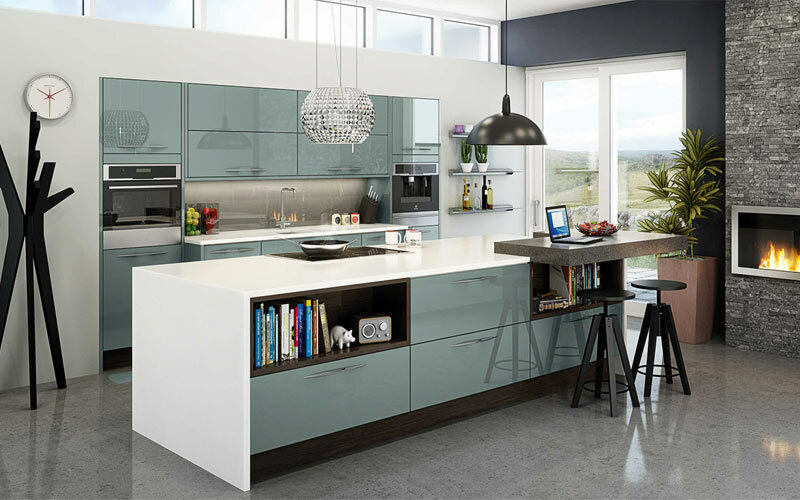 Get the best of both worlds with engineered quartz. 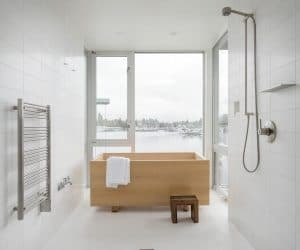 Wood is a timeless option while glass is growing in popularity. For a modern look with an industrial edge, concrete countertops can take on any shape. Or mix and match materials for multiple work surfaces. One way to add a unique focal point or pop of color to a neutral kitchen is with the backsplash. A few common backsplash materials include tile, glass, wood, metal and stone. A backsplash is a vertical extension of the counter that shields the wall. A kitchen backsplash is usually behind the sink, extending along the length of the counter, and above the stove. Like the name suggests, a backsplash protects the wall from water, spills and messes. 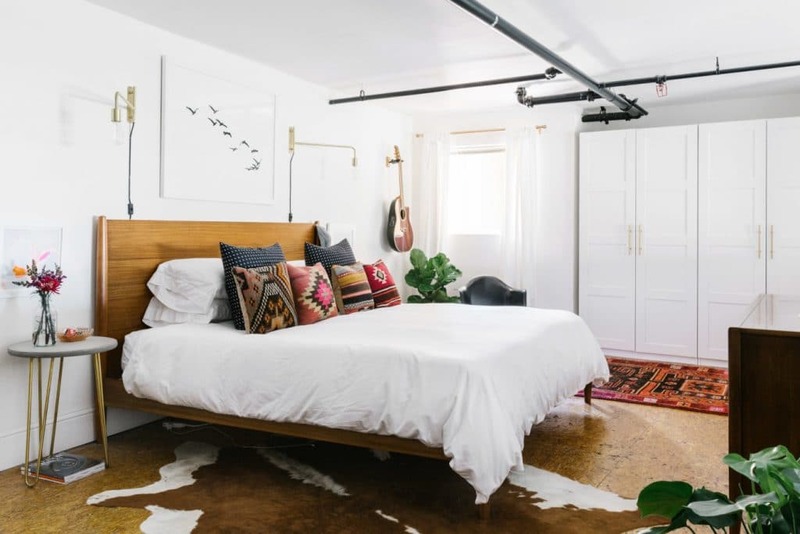 A painted wall can only take so many splatters of liquid, oil and food before staining or worse, getting water damage. 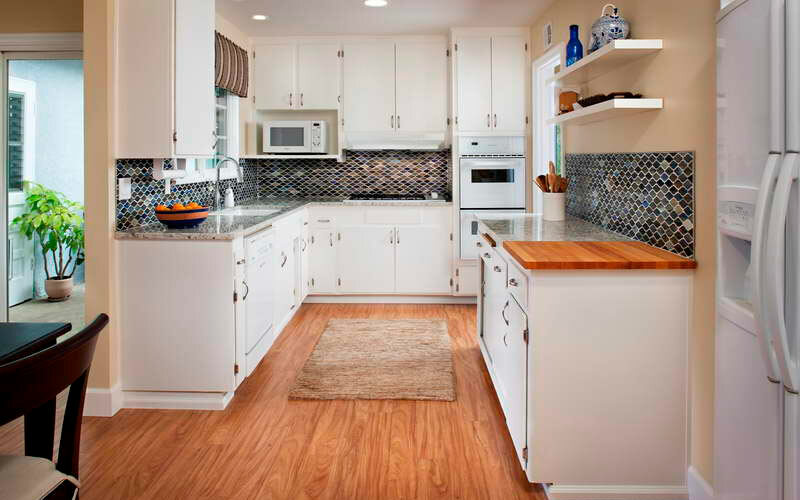 While some countertops extend vertically a few inches, full coverage provides more protection and cohesive look. Choose a colorful tile for an accent feature or use a gorgeous piece of natural stone for a focal point. The fifth wall of the room, flooring has a significant impact on the overall look of the whole kitchen. 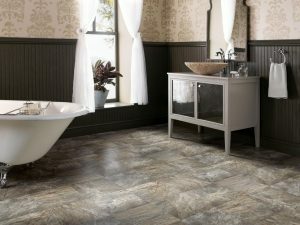 The most durable options are natural stone, tile and concrete. For a continuous look, try hardwood all over or laminate on a budget. Sustainable choices include bamboo, cork and linoleum. Kitchen lighting illuminates your workspace and when you’re done cooking, creates a cozy ambience. 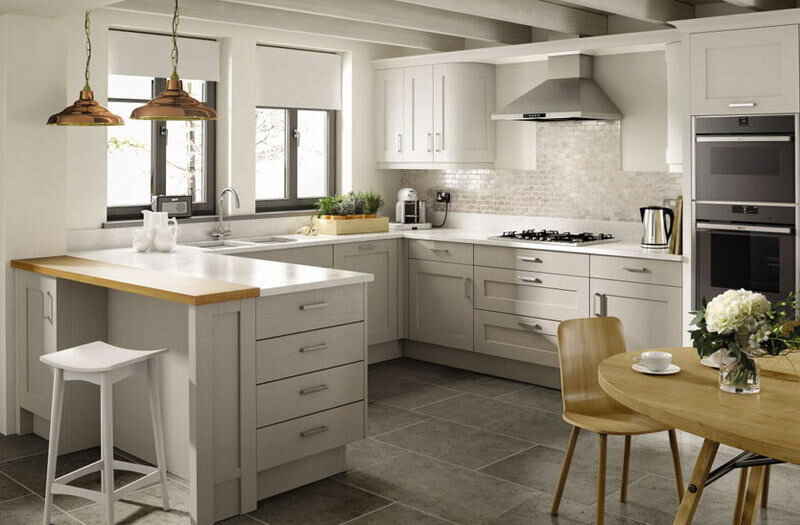 To get the combination of brightness and softness, most kitchens have multiple light sources. Here are a few kitchen lighting styles. Almost all kitchens will have some kind of ceiling lights. They can be mounted flush with the ceiling or semi-flush, with a slightly dropped fixture. In the kitchen, hanging lights bring illumination lower and are perfect over islands. The choice of fixture can make a statement or be part of your overall kitchen style. For the ultimate lighting statement, choose a kitchen chandelier. 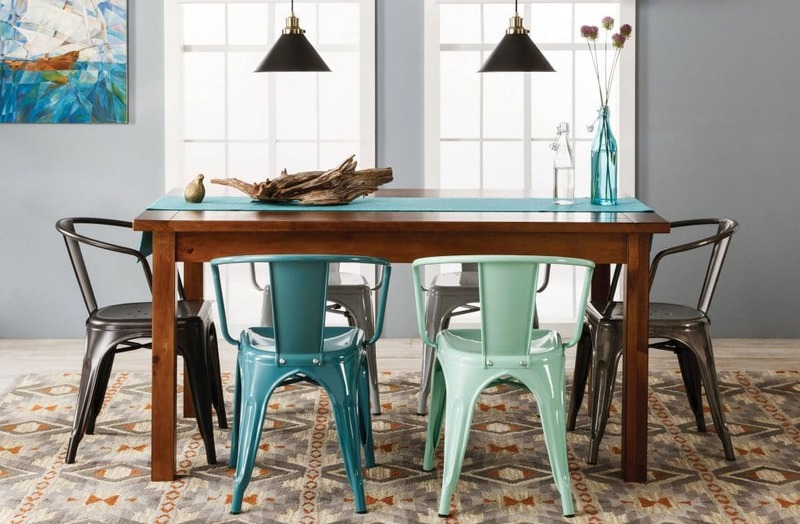 If you don’t like the traditional glass or crystal style, there are more modern or rustic fixtures available as well. Under cabinet lighting bathes your workspace in light, minimizing the need for ultra bright overheads. There is a range of options and this lighting is an easy retrofit or DIY project. Installed below cabinets, toe kick lighting is a safety feature that also adds atmosphere. Like everything else, there are kitchen sink trends too. A few of the common styles include single bowl, double bowl, top mount, under mount and farmhouse, also known as apron, sinks. Another consideration is material. 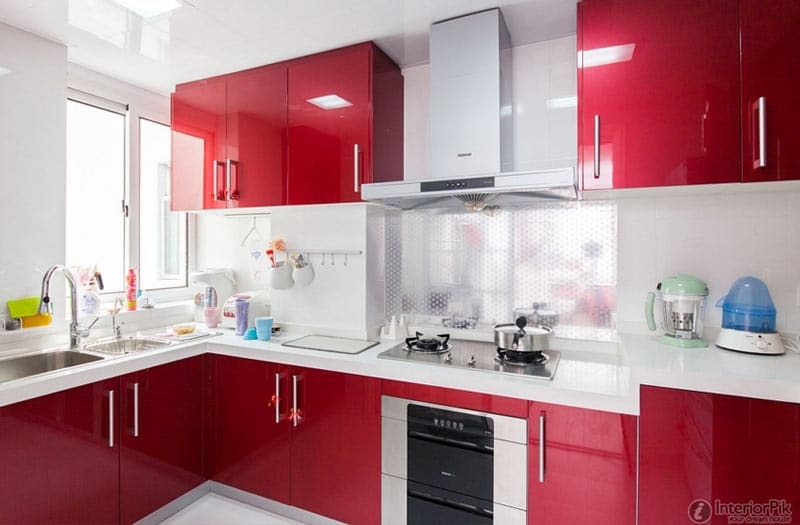 The most popular choice is stainless steel but enamel and solid surface are other options. First and foremost, a kitchen faucet must work with the mounting holes in the sink. Beyond that, there are plenty of choices of material, style and modern features like touch on, touch less and spot resistant.